Right now the world is focused on the Middle East: Russian jets and bombers, operating from an expanding air base in Syria, strike opponents of dictator and war criminal Bashar al-Assad. The Russians say they are going after Islamic State—but there’s no evidence they are doing so. Nor do they have reason to, considering the aim of Putin’s war is to preserve Assad’s rule and to expand, for the first time in decades, Russia’s sphere of influence into the Middle East. Key to Putin’s strategy, write analysts Frederick W. Kagan and Kimberly Kagan, is the doctrine of "reflexive control": establishing facts on the ground "in such a way that the enemy chooses Russia’s preferred course of action voluntarily, because it is easiest and all the others appear much more difficult and risky, if not impossible." Doesn't have to be this way. Moscow’s propaganda notwithstanding, Russia is a weak state with a deteriorating military capability, whose claim to great power status is based on its nuclear arsenal. But, by acting decisively and provocatively, Putin has found the means by which to reassert Russian sovereignty and preeminence and ward off challenges to his authoritarian regime. 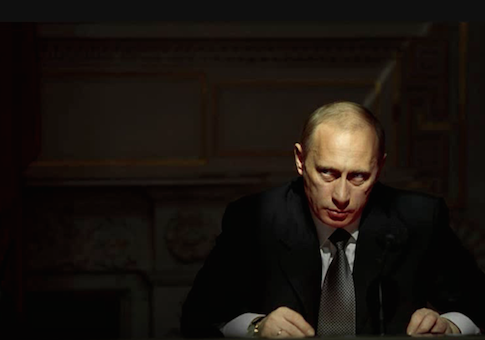 Revisit Putin’s 2007 speech to the Munich security conference, where he said "the unipolar model is not only unacceptable but also impossible in today’s world." The expansion of NATO, he went on, "represents a serious provocation that reduces the level of mutual trust." Then came the threat: "Russia is a country with a history that spans more than 1,000 years and has practically always used the privilege to carry out an independent foreign policy. We are not going to change this tradition today." The next year the governments of Germany and France, frightened by Putin’s rhetoric and reliant on Russian energy and arms deals, scuttled the U.S. attempt to offer NATO membership to the former Soviet republics of Georgia and Ukraine. Deprived of NATO’s security guarantee, both of these small and poor and new democracies became open prey. Putin invaded Georgia in 2008. He continues to exert influence there. The techniques of reflexive control found their ultimate patsy in Barack Obama. When it became clear in 2013 that the president had no interest in enforcing his red line against chemical weapons use in Syria, Putin and his foreign minister Sergei Lavrov pounced. Lavrov suggested in public that Russia would assist the United States in "destroying" Assad’s WMD stockpile. Obama, whose greatest fear is a major deployment of U.S. ground forces in the Middle East, couldn’t help saying yes. Suddenly America was partnering with the governments of Russia and Syria (and by extension Iran) to inspect and remove the munitions. This decision not only averted U.S. intervention and gauranteed Assad’s survival. It allowed Assad to gas his population in the future. In 2014, when protests forced Ukrainian president Viktor Yanukovych to flee to his backers in Moscow, Putin saw an opportunity to reclaim Ukraine from the West. His military buildup on Ukraine’s eastern border deterred NATO from harsh reprisals when the Russian parliament annexed Crimea. The techniques of maskirovka—disinformation and deceit—provided cover for Russia’s arming and training and staffing of anti-Kiev "rebels" in the east. Sanctions and nasty words have not exacted enough of a cost to stop Putin from instigating and perpetuating a civil war whose death toll is in the thousands. President Obama has overruled his advisers and refuses to provide lethal defensive arms for pro-Western Ukrainians, believing, amazingly, that helping Kiev defend itself would "escalate" the situation. The Ukraine conflict is now frozen—Putin can switch it on and off at will. His goals remain: to efface Western pretentions to ideological and military supremacy, and to replace President Petro Poroshenko with a Kremlin stooge. Two weeks ago, in a phone call with its prime minister, Vice President Biden signaled America will support Montenegro's application for NATO membership. Good for him. But we should recognize nonetheless that this move is a fig-leaf. It obscures the fact that Obama would otherwise be the first president in a generation not to preside over an expansion of NATO. So the White House supports a strategically insignificant nation surrounded by member states. Woo-wee. It's a metaphor for this administration's lackadaisical commitment to the alliance—and for Europe's. The Kremlin has noticed this ambivalence. Russian intervention in Syria is about more than propping up Assad. Russian leadership of a pro-Assad coalition that includes Iran and Iraq effectively displaces America as the most influential external power in the region. Russian provocations have forced Washington to plead for "de-confliction," handing Moscow freedom of action over Syrian, and possibly Iraqi, airspace. And the location of the Russian base opens an additional front in Putin’s war against NATO. Less than 50 miles from the border of Turkey—a NATO member—the Bassel al-Assad airbase gives Putin’s air force the ability to buzz and overfly not only Turkey but also U.S. allies Israel, Jordan, and Saudi Arabia. "It also would allow," write the Kagans, "his aircraft to shadow the U.S. Sixth Fleet around the Eastern Mediterranean. He could force Turkey and its NATO allies to establish standing combat air patrols along the southern Turkish border." The chances of a deadly incident increase every day. Putin is boxing in NATO. His next target is the Baltic States. Last Sunday on 60 Minutes, he explained that the reason he has called the collapse of the Soviet Union "the worst thing to happen in the last century" is that, "in an instant, 25 million people found themselves beyond the borders of the Russian state." His goal is to reclaim them—to unify Russians living abroad in the Baltics, in Ukraine, and beyond. Raimonds Vejonis, president of Latvia, tells the Wall Street Journal that Russian sorties over the Baltics nations are on the rise. In his full interview with Charlie Rose, Putin singled out Lithuania: "More than half of the citizens have left the country," he lied. "Can you imagine a situation where more than half of the Americans left the territory of the United States? It would be a catastrophe!" Try this scenario: Sometime in the next 16 months, civil unrest breaks out in one or more of the Baltic States. It’s the Russian population, calling for "independence" from the central government and closer ties to Moscow. Fighting erupts as Russian tanks mass along the border and jets fly over Riga or Vilnius or Tallinn. They are all targets. Take Vilnius: While there are few ethnic Russians in Lithuania, it is the land bridge between Mother Russia and the Russian enclave of Kaliningrad. Supplying Kaliningrad would be Putin's casus belli. The Baltic authorities call on NATO to respond—invoking Article Four of the charter, which requires consultations, and possibly Article Five, requiring force. But the West is distracted. Europe is overwhelmed by crises in Greece and Ukraine, by the U.K. referendum to leave the E.U., by ongoing Muslim migration to the north. The United States is occupied by its presidential election, by Syria and Iraq and Afghanistan, by economic shocks. The cries for assistance go unheard. The Obama administration has refused even to try to secure permanent forward bases in the Baltics—which would provide a credible deterrent—apparently due to the belief that providing for a real defense is "provocative." We are too busy, too self-absorbed, too confused to worry about promises made years ago. Obama won’t arm the Ukrainians. What makes us think he’d defend the Lithuanians or Latvians or Estonians? Before the White House recovers from its "surprise" at events in the Baltics, Putin will have achieved his strategic goals and established reflexive control over the situation. President Obama and Chancellor Merkel and Secretary of State Kerry are sure to proclaim that the arc of history will defeat Russia, even as they accommodate themselves to Putin’s reality. NATO will be exposed as a covenant without the sword. And millions of East Europeans will come under Vladimir Putin’s thumb. Victims of the Kremlin’s avarice. Victims of Obama’s weakness. This entry was posted in Columns and tagged Barack Obama, NATO, Vladimir Putin. Bookmark the permalink.